River is usually defined as the flow of fresh water naturally through mountains towards the lake, ocean or sea. These rivers are dried or fall into the ground in some cases otherwise no such things happens. Small rivers are also named as tributary, creek and brook. There are several big and beautiful rivers are flowing in Pakistan. Indus River is the largest river of Pakistan and is listed as one of the largest river of the world. Among the beautiful rivers some of are the Poonch River, Neelum River, Swat River, Zhob River etc. Poonch River is located in the Kashmir of India and Azad Kashmir of Pakistan on Kotli Road only thirty five Kilometers from the Rawalakot City. 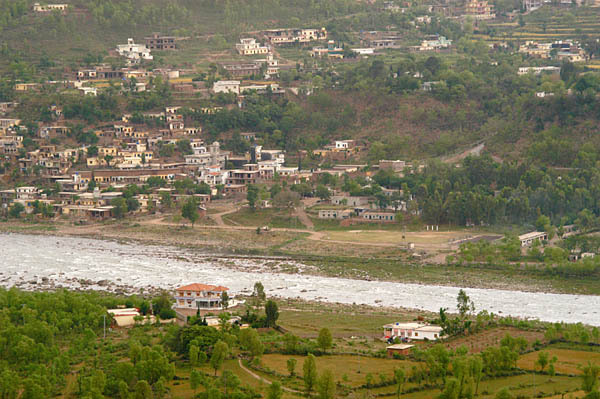 The small towns Kotli, Tata Pani are located at the bank of Poonch River. It starts from west of Pir Panjal Range, area of Neel Kanth and Jamian Gali. This river is also called Siran in that portion flowing towards northwest. This river is about eight hundred and eighty six meter above the sea level. Driving to the Poonch River, there are many different fascinating and amazing views of water. This river is wide and some about long too. Further, a big piece of land is available of about 2 acres which can be use under development. Poonch River has two small tributaries named Betaar and Suwan. 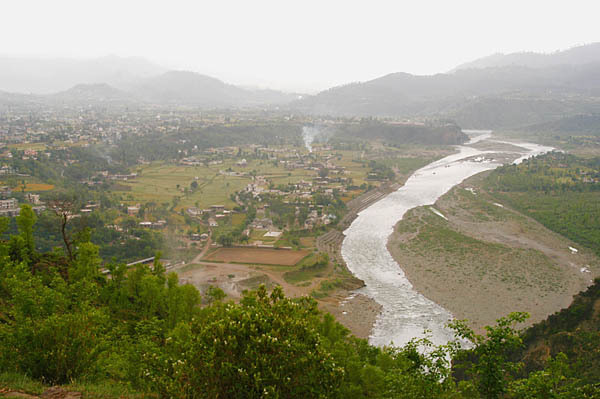 Land route is also available to the river which runs from Hajra to Kotli. This river is surely said to be the paradise in earth because of its beauty and the attractions. These types of rivers are the major attractions for the tourist but unfortunately, the road facilities which are not appropriate made it difficult for tourist to visit one of the greatest creations of Al Mighty ALLAH. Due to the dangerous earthquake this area has been quite affected. Land routes are trying to make possible and of the standard one to this area by the Govt. Pakistan. People who want to see the incarnation of beauty must visit the Poonch River and surprised with its amazing beauty.